Since the unexpected discovery in 1492 of humans not accounted for in the Bible, Europeans were keen to find out where they had come from. An ingenious solution was proposed: they were the tribes of Israel that disappeared from history with the fall of the kingdoms of Israel and Judah in the middle of the first millennium BC. A whole religion (the Church of Jesus Christ of the Latter Day Saints) has been built on these shaky foundations. There was also a movement in the late nineteenth century to identify the English with the same lost tribes. There are still traces of the ‘British-Israelite’ movement today. Very quickly after the discovery of the New World, Europeans began to treat its inhabitants as little more than their possessions. There was some debate about whether they were fully human and thus descendants of Adam. 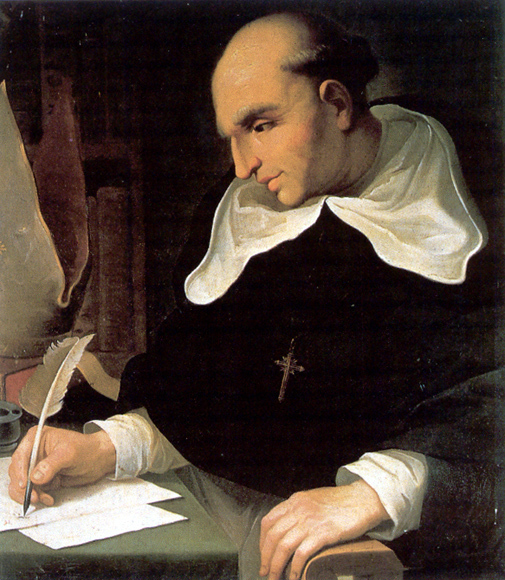 At first, few of their fellow Europeans protested, but in the early sixteenth century, Bartolomé de Las Casas (1474-1566) became a champion of the Native American cause. He spent many years trying to improve the conditions under which they lived in the Spanish colonies in the West Indies, Peru and Guatemala. Las Casas believed that the Native Americans should be converted to Christianity, as he was convinced that they originated in Ancient Israel and felt that the Bible contained the proof that they were members of the Lost Tribes of Israel. He was not alone and it was in no small measure thanks to his efforts that Pope Paul III (1468-1549; pope 1534-49) declared that the Native Americans were fully human, after all, in 1537. A report by the seventeenth-century Portuguese traveller, António Montezinos (also known as Aharón Leví de Montezinos), published in 1644, reawakened interest in the subject. He claimed that there was a Jewish tribe living beyond the mountain passes of the Andes and that he had heard them recite the She‘ma Yisro‘el (the expression of the Jewish faith) and saw them observe Jewish rituals. Alas, Montezinos was a fantasist whose stories were accepted uncritically. Having decided that some of the Native Americans practised Hebrew rites and were therefore ancient Canaanites or the lost tribes of Israel, this meant that they were in dire need of conversion. Thomas Thorowgood’s Jewes in America, or, Probabilities that the Americans are of that race, first published in 1650, was one of the first to argue for the need to convert these lost tribes. The second edition of 1660 quotes the authority of John Eliot (1604-1690), the ‘Apostle to the Indians’, who went on to publish a translation of the bible into the Massachusetts dialect of Algonquin in 1663. Groups like the Corporation for Propagating the Gospel of Jesus Christ in New England were founded by English settlers who believed that the Native Americans were lost Jews who would need to be reconciled with Christ at the end of time. Although the belief that Indians were Hebrews quickly faded as knowledge of their languages, customs and beliefs increased, Edward Johnson (1598-1672), author of The Wonder-Working Providence of Sion’s Saviour (published in 1654), argued that a mass conversion of Indians was necessary if America were to be the site of the new heaven and new earth. 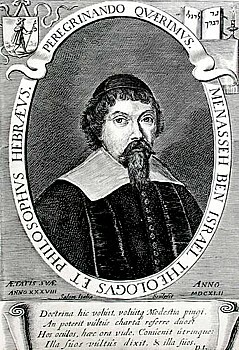 Menasseh ben Israel (born in Madeira as Manoel Dias Soeiro, 1604-1657), a respected Dutch Jewish scholar, was heavily influenced by the account of António Montezinos and wrote his best-selling booklet, The Hope of Israel, which he dedicated to the English Parliament. Meeting Oliver Cromwell (1599-1658; Lord Protector of England 1653-1658), he petitioned for the recall of the Jews (who had been expelled from England in 1290) and expressed his belief that the dispersion of Jews to all corners of the Earth was the beginning of the redemption. Certain Christian traditions claimed that when the Ten Tribes of Israel were found and restored to the Holy Land, the return of Christ to reign supreme was not far off, a belief that is still had by some, especially American, fundamentalist churches. There was thus a considerable vested interest among some believers to identify the Lost Tribes. Now that apparently Israelite tribes had been discovered in the Americas, ben Israel argued, Cromwell must readmit the Jews to England to bring about the Messianic era. Similar sentiments were expressed, albeit in more humanistic terms, in the second half of the eighteenth century during the American and French revolutions. Some abolitionists, for instance, claimed that the Messianic Age would be ushered in when the slaves were freed and when the native Americans, as descendants of the Ten Lost Tribes, were converted to Christianity. The sometimes eccentric religious beliefs of the pioneer settlers developed political overtones, with the production of bizarre propaganda works such as the Apocalypse de Chiokoyhikoy, chef des Iroquois (published in 1777 by the newly-formed Congress and condemned by the Inquisition in 1779). This purported to be an account of the end of the world by an Iroquois prophet, denigrating the English to support the cause for American independence by showing how the Iroquois would be better off under American rule. The most long lasting effect of these ideas about the Israelite origins of the Native Americans was the establishment of a completely new religion, which its founder, Joseph Smith (1805-1844), claimed to have been directly revealed to him in 1827. According to the Book of Mormon, the holy text of the Church of Jesus Christ of the Latter Day Saints (more popularly known as the Mormons), a people known as the Jaredites arrived in America around 2247 BCE. The Jaredites were a group of people from the Middle East who had fled their homeland, following the destruction of the Tower of Babel and built a thriving civilisation. Their civilisation was subsequently destroyed in a great battle at Hill Cumorah; there is much debate within the church about the location of this hill, which places it anywhere between the Gulf of Mexico and New York. The Jaredites were followed around 600 BCE, before the fall of Jerusalem, by further groups of Israelites, the Lamanites and Nephites, who were the builders of the earthen mounds of the eastern USA. When war broke out between the Lamanites and the Nephites, the Lamanites eventually won and wiped out the Nephites c 421 CE. The Lamanites were cursed by god for their sinful behaviour and accordingly he turned them red-skinned. As an apparently historical narrative, the story told by the Book of Mormon ought to be testable, just like the bible, but despite many years of effort by Mormon archaeologists, no archaeological evidence has ever been found to support any of this story. Indeed, it looks like an obvious justification for European supremacy: the Lamanites (who are the Native Americans) are not only not the original inhabitants of the Americas, as the much superior Jaredites were there first, but they have also committed a sin so terrible that they now bear its mark for all time. This is exactly the same argument that was once used by Christian apologists for the apartheid régime in South Africa, who argued that the Africans, as descendants of Ham, had been cursed by Jehovah and bore the mark of the curse as their black skin. The arrival of the Jaredites corresponds neither to the arrival of the first humans in North America (the precise date is hotly disputed, but they were there by 13,000 BCE at the latest) nor to the first flourishings of any American civilisation. This causes problems for Mormon archaeologists, who are able to detect numerous civilisations in North America, none of which appears to be of the right date or to possess any of the characteristics attributed to them in the ‘divinely inspired’ Book of Mormon. To truly find the Lost Ten Tribes of Israel it might help via searching for assomatic DNA and seeking to identify specifically Jewish variant strains, particularly of interest are Far Eastern peoples of non-Chinese ethnicity, particularly given that Classical Mongolian as presented in the translation of “Nuvs Tobchaan Mongolyn” in the translation by Igor de Rachewitz has a percentage of words with a correspondence to Hebrew, like arba ten, batut daughters plural, chatun (chatut) lady, and wife with status corresponding to husband as on the chái equal system of the wife of full right of further East, possibly based on her achieving some role or maturity, since the chatun often wore a henin (boqtaq) which was considered an honorary hat, (cf. chatunah marriage in Hebrew) modern Mongolian has em = woman, em in Hebrew being mother, also their persistence in the era written on by Johnatan Stilberg or Silberberg has parallels with Jewish history in southwestern Europe, and has left them childless from that time and possibly if the government in the larger state in the region would allow it since they have a capital sentence surrounding the subject at some levels, though some is included in the school textbooks under the Case of the Party of …, but I do not believe that indiscreet discussion of the subject (certain figures in specifics are strictly covered by a capital sentence) would have been engaged in by my father Herbert O. Altar who was too clever for that but will have suffered considerable moral and mental deterioration since a physical revival process and I think it looks to be him facing execution there on the only opaque image on Interviews before Execution on the BBC. The revival process might only have left DNA identification possible at certain levels linked to thought and emotion, given possibility of some as yet non-public innovative revival techniques of which something had been reported on the media already prior to what had happened to him, so I asked for such a process for him. Meanwhile I was alarmed by a possibly Jewish man fetching a wreath possibly for the friend of my father who may have hidden him and cared for him during the process who was also from what I saw facing execution there, unless it would be a Swedish citizen whom she somewhat resembled, but who I think was a very brave detective linked to some law enforcement probably from the area of Eurasia unless she had been pardoned but had a problem with some interrogators in the EU due to the laws there. The DNA (Diakene’s blog) evidence from the Arata mountain area and Lake van area confirm: Syrians, Armenians, Druze bedoins, Ashkenazi Jews, Sephardic Jews and Georgians are virtually identical peoples. And another, much earlier DNA study from Italy proved Sephardic Jews and Palestinians are virtually interchangeable…which also now includes the others listed above. The LORD (in this instance: Kassite Kings of Karaduniash/Babylon) GAVE land to favorite subjects, and these were boundary markers. Speculating, it may be the origin of a certain people’s assertion that “The Lord gave us this land” without realizing the “Lord” wasn’t “god,” he was KING. When I first heard the story of the beginnings of Mormonism, I laughed, a huge knee-slapping laugh. Then I said, “Wow, that was a good one!” Then I looked at my boyfriends face and realized he was not joking. There are no ‘lost tribes of Israel’, all are present andaccounted for; the whole concept is a figment of anti-Semitist ‘Christian’ evangelism. They claim the Jews of Europe were ‘false Jews’ and therefore looked elsewhere, it made it easier for the Christians to engage in massacre of European Jewry if they weren’t truely Jews. Simply because Christians use the idea of a lost tribe in an eschatological context does not make the idea bogus. There are numerous groups throughout the Old World who have beliefs that don’t mesh with their neighbors but are very similar to Israelite beliefs and practices. These groups have oral histories that describe exile and a long migration to their present land. The best example I can think of are the Bnei Menashe from India. I recommend reading Hillel Halkin’s “Across the Sabbath River” and following up Jerusalem Post news articles on their aliyah. Another example is a tribe in South Africa, the Lemba, that may not be a lost tribe descended from the northern kingdom of Israel but who’s oral history and religious practices show they may be descended from Yemeni Jews fleeing the destruction of the Jewish city of Sena during the Muslim conquest of Yemen. 50% of Lemba males show descent from a Middle Eastern population, the Cohen Modal Haplotype is found in a high percentage of males and their traditions say that some of their ancestors were white men who fled enemies across the sea. They also claim that part of their ancestors stayed in Ethiopia while others migrated south. So don’t dismiss “lost tribe” investigations or status. Dismiss the pseudoscience from the real science. The Israelite elites were exiled by the Assyrians with other groups moved in who merged with the poor inhabitants of the land to become the Samaritans. The elites who were exiled into the eastern reaches of the Assyrian empire either assimilated into paganism, fled further east away from the Assyrians as Bnei Menashe lore states, or they returned in small groups to the land of Israel when they could. It’s likely all three happened. As a Jewish Christian I’d like to see Jews and Christians understand and accept the redemptive hopes of each community. God keeps His promises in history and I consider Christian antisemitism to be failed Christianity. Even if Jesus were just a man (which I do not believe), he was in the same vein as Honi the Circle Drawer and Hanina Bar Dosa. Jews might reject Christian theology but we should never reject Jesus. He was not a false messiah like Shabtai Zvi. Except that the connection between ‘Jews of Europe’ and Khazars, and a non-connection between the Khazars and either the House of Judah, or the House of Israel is both historically and genetically testable. Political and religious objections aside, one cannot simply reject the notion without first explaining the apparent evidence. It’s not true that most Ashkenazi Jews are descended from Khazars, but there is probably a Khazar remnant. Antisemites have often used the Khazar argument against Jewish return to the land of Israel, but it’s a false use. I find the Khazars very interesting and enjoyed reading Halevi’s Kuzari when studying medieval philosophy, but I’d love to see more scholarship and less polemics due to the misuse of their conversion. Their society interests me, Jews of the Steppes with their own kingdom is even more exotic than the brief Jewish kingdoms in Yemen. From what I gather, one third of Khazars were Jews (starting with Khazar elites conversion plus immigration), one third maintained their traditional religion and one third were Christian or Muslim. They were eventually destroyed as a kingdom by the Rus and the Mongols. While it’s likely Jewish Khazars fled west or south, they were not significantly different than other Jews in religious ritual and they disappeared to history as Khazars while just becoming part of the Jewish diaspora. People have often converted to Judaism, just as some have converted away. Jewish traders brought their families or married local women and established Jewish communities as disparate as the Cochin Jews of the Malabar coast or the Jews of Kaifeng China. One thing in Khazar experience that mimics that of ancient Israel, their kingdom was largely overrun by more powerful neighbors and unlike that of the land of Israel, it has no religious promises for a revival. But in the Olam ha-Ba, I look forward to hanging out with many Jews and Christians of history and I’d love to get the Khazar take on Halevi’s Kuzari. What debates we’ll have in the heavenly shul! Until then some real archeology and anthropology would be appreciated. I wish you had gone a little further with las Casas – when I was writing my thesis on the ethnic groups of the Mayan area, I came across things he said that made me wonder if he actually believed the Mayan’s descendants were from the ‘lost 10 tribes’ or if he thought it would be a more compelling argument (he didn’t make such claims when he first started begging for living at peace with them). But at this remove, who knows. Lost tribes. So groups of people wander off in search of places that offer solace of spirit? Did any of the gods of material find them? If so, those tribes are dead. Abraham smashed the idols of his parents shop once he realized they were false. I wonder what lessons Christians should take from the multiple sacking and burnings of Jerusalem (including the holy temple)…….perhaps the same one? I don’t get it. Christianity began as a branch of Judaism and quickly became anti-semitic after someone declared the fictional Christ figure was handed over to Pilate by some angry rabbis. It all went down hill from there and then at some point, people who inherited the anti-semitism decided they wanted to be Jewish? Really, really confusing. “Fictional Christ figure” – HAHAHAHA. Oh, how cute. Funny how non-Christian sources say he exist. Except that the only non-Christian sources that do are either tampered with (Josephus, for instance) or rely on Christians for their information. Not to mention the dozens of ancient legends about a White God visiting numerous places throughout the world in ancient times around the time of Christ. Sometimes they even say specifically that he had 12 main followers! The Resurrection cult which you refer to as “Christian” originated at least 5000 years ago in Egypt. It has absolutely no evolution *from* Judaism. One can trace the origin of the “Jews” and of “Christians” and they are not of same origin. Judaism is Bramha worship from Harran/Chaldea (Kaldi, the Armenian god). Sarasvati was the river of these Brahma-worshiping people, and a tributary was the Ghaggar River. Sarai and Haggar. “Purim” is Vedic Puranic myth of the gods/goddesses fighting for top spot. Ester is Istar. Vashti is Vach aka Sarasvati. Hanum is Hanuman, the Vedic monkey god. Mordecai is Marduk. The Illiad is a prime example of Vedic Puranic mythology. Example: a statue I observed in Tut’s exhibit, 2012, of a statue of Osiris: could still see that it once had been painted blue. Now, in the wall scenes of Osiris, with the two Mari’s grieving over his linen-wrapped corpse (Isis-mari and Nepthys mari, mari=priest/priestess), he is also depicted as green or blue. Vishnu is depicted as blue from swallowing the poison and saving the world…..
An aside: Did you know that when Y’eshua/Tut reopened the Amen temples…he appointed “ethical” young local people of royal family ties to SERVE BEVERAGES AND FOOD at these temples? As in never-ending supplies to placate the masses to counter their rage at his father closing the temples? Nebu is the Kassite/Vedic “God of the tablets” and is depicted carrying this stone tablets in his arms. “Kiya” is: 1. Tut’s mother. 2. Vedic “goddess of the Reeds.” ThutMose. Reeds. And that Nebukudduriya? You may know him as Nebuchadrezzer aka “The Dwarf”….his father, Amenhotep III’s (The Great Solomon King) mummy shows he was barely 5’3” tall. Tiye, his mother, is depicted shorter than her husband. Akhenaton’s depictions as a HUGE, TALL king were PR. The statue of him and Nefertiti, with him wearing the Blue Crown, depict him as a short, swarthy-looking man…like a (short) modern day Egyptian. Normal looking. Ramses II was the biblical “Solomon” king. There were dozens of them, all over the Levant and the M.E. and the Caucasus. Sol & Moon. Example: Hammurabi’s son Shamsu-Iluna. Sun and moon. His nemesis, Zimri-Lim? Sun and Moon. Wow, this was something I was not ready to see. This is really interesting and definitely sounds very reasonable. Can you provide some sources, like articles, papers, blogs, etc? I really am inclined to research more on this subject now, and a starting point would be very appreciated. Christianity didn’t quickly become antisemitic. Paul states in Romans that Jewish unbelief enabled the bringing in of the Gentiles. I know many fundamentalist pastors today who believe that Jews don’t need to convert to Christianity, and several believe that all Jews who ever lived will be saved because God keeps His promises. Christian antisemitism developed later than the New Testament period and was as irrational as late classical antisemitism. While I have a theological explanation for antisemitism, this is an archeology site so I won’t go into theology here. I will state that Christian antisemitism is failed Christianity and that all the polemics in the New Testament (and similar polemics in the Talmud a few centuries later) are understandable in context of the split between Jews who believed in Jesus and Jews who saw that as idolatry. The polemics were misused by the later Christians who neither understood Judaism or thought that first century Christians were just like them; whether they were Catholic or Protestant. We can blame key figures in Christian history for antisemitism, including John Chrysostom and later, Martin Luther, but other Christians rejected antisemitism and sought to counter it. Evangelical theology has always been that we all killed Jesus and that it’s irrational to blame Jews. It’s not like the Gospels could really blame the Romans and the quisling Sadducees (I think the Pharisees get a bad press and always tell other Christians that there were at least two types who were kosher and the New Testament reflects Pharisee influence and friendship with Jesus). As a Jewish Christian I have a foot in both doors (but often feel like I’m on the outside). My Scots-Irish side has a similar history of failed rebellions and exile so maybe it’s a good mix after all? Though I love archeology and history, I do have a strong attraction to the Fortean and the fringe. First of all, “Mormonism,” so called, is not based on the idea that all peoples have descended from one of the lost tribes of Israel. This point needs correction. In actuality, the doctrine of the the church is that there are those who have descended from Abraham and are therefore, “born in the covenant.” I understand that the doctrinal beliefs of the Church of Latter-Day Saints might not interest you all that much, but ignorance leads to error. It is established doctrine of the church that those who do not have israelite blood (as there are many) are adopted into the covenant upon baptism. The doctrinal implications of this whole process are irrelevant in this instance. Also, it is not stated in the Book of Mormon, nor anywhere else in church doctrine that the “red-skinned” inhabitants of the Americas bear that mark because of a curse from God. The Book of Mormon DOES tell of a people that were cursed, but never claims that they are the sole ancestors of the Native American people, nor does it claim that Native American skin color is a mark of God’s displeasure. Also, the author should be reminded that lack of evidence is not, in and of itself, evidence that something does not exist. Remember, religion is not a science. An important note is that there is no proof that an offshoot group of Israelites DID NOT exist in the Americas. Seeing how badly this article mangles Mormon beliefs unfortunately makes me heavily doubt everything else I’ve read here. I am very much in favor of scientific rigor and debunking of nonsense claims, but one doesn’t go about debunking nonsense by simply presenting one’s own nonsense instead. One interesting factor to note is that a lot of these “Lost Tribe” stories gained popularity in places where virulent anti-Catholocism was the norm—England at the end of the 17th century, for instance. A lot of those fanciful stories that hype up encounters with lost Israelites are little more than frame stories for attacks against the “Papist” faith, which they saw as having drifted from more pure forms of worship. The idea is usually that the narrator witnesses these primitives worshipping in a stripped-down (i.e. Protestant) manner and realising that this is the way to go. There are several stories of that general outline that appear in periodicals after the Glorious Revolution. Those Jewish Indians (in Blazing Saddles) owe their existence to the supposed comment by Sam Goldwyn when asked why his movies didn’t have more Jewish characters. He allegedly said that he’d hire a Jew to play an Indian but not a Jew because moviegoers weren’t interested in Jewish life. That is my favorite part, my second is that the townspeople will take the blacks and the Chinese (using two racial slurs in the dialogue) but not the Irish. Considering the religious prejudice against the first Irish immigrants it is spot on. In fact, a Marxist professor wrote “How the Irish Became White”. Now all we need is a world where white, black, red, yellow and brown can all become just human beings. One value of the often rejected story of Adam and Chava is that we are all descended from the same ancestors and have nothing to boast about. I can understand why people have issues with Christiandom, or issues with various Christian theologies. I came to Christianity reluctantly due to anecdotal experience that would not match scientific evidence. I believe on faith, which is not blind belief, but is rather trust in the anecdotal experience of others as well as myself. I trust human experience in the numinous and I find that Jesus is important to me as my Savior when I’d rather just have continued with the Judaism I adopted after decades of religious inquiry. Judaism is largely rational and even though I enjoy the fringe, I’m skeptical of fringe claims. I’m a Fortean and see post modernism as a valued critique of the Enlightenment and modern atheism, but I do believe there is absolute truth that we can approach with some humility because we are prone to error. That’s why I like the more rational Christian authors who also touch upon the imagination and the numinous, like C.S. Lewis. What I don’t get are arguments by atheists that just rehash claims that Jesus didn’t exist, that try to make early Christianity just another cult of Osiris morphed into a Jewish form. They are using old arguments from the 19th century that did not stand up to scrutiny. So, even if you reject Jesus, accept that he lived as a faithful itinerant Jewish wonder worker, that he died on a Roman cross, that his followers genuinely believed he rose from the dead and tried their best to understand their experiences, and that just because there were mythological figures who rose from the dead and just because Apollonius of Tyana was almost crucified does not make him the original of Christ. I almost wrote Apollonius of Tyre! I once got lambasted when I wasn’t yet a Christian and kibbitzed on a message board argument between Christians and nonbelievers for doing that. Once I realized my mistake I had to explain that I was much more familiar with Apollonius of Tyre than the accounts of the guy from Tyana. My background is heavily medieval lit and philosophy, not classical and I decades ago I did my senior thesis on John of Salisbury. That’s why. Tut was Y’eashua. And curiously enough, I can show in PHOTOS of ARTWORK and RELICS found in his tomb to PROVE it. But for those with open minds and eyes that function: read the real. Look at the PHOTOS of the Lamp of the Tabernacle: could there possibly be TWO of these? Look at the Ark: two of these? The Breastplate of the Cohen Gadol: it is also depicted on the HOLY GRAIL: exact same image. http://www.lexiline.com/lexiline/lexi80.htm Read the HISTORY, then go look at the photos of these objects found in Tut’s tomb. I am a practicing Mormon and very well versed on the Book of Mormon not only as a spiritual scriptural text but as a geographical and historical one as well. Contrary to what you claim on this site there have been an abundance of discoveries that support the truth of the history of the Book of Mormon. The Olmec Culture down in MesoAmerica existed from just prior to 2000 BC until around 300 BC. Their timeline correlates perfectly with the record in the Book of Ether that talks about the Jaredites. (And no they wouldn’t have been anywhere near the people who are said to have come across the Bearing Land Bridge much earlier. Odd as it sounds it is possible to have multiple cultures in different parts of the Western Hemisphere. It is a pretty big place afterall.) And what the natives had to say about the Olmecs supports the BoM record as well. One example is that all the local tribes of mesoamerica in the 1600s told Kingsborough in his “Antiquities of Mexico” that their ancient forefathers were descended from a group of families that united at the dispersion of Babel. I don’t know how to get more specific than that. Kingsborough describes in his historical writings that the ancients came from Babel at the time of the Tower. And then Joseph Smith comes along 200 years later (before Kingsborough’s work ever reached the USA) and records the same thing in the BoM. Unless you believe in magic, then you better have a really good explanation for how that is possible. And there are numerous finds that support the idea that Jesus came to the Americas as the BoM says. When the Spanish first came to the Americas they noticed that there were no crosses on buildings- hence they realized the natives weren’t Christians. However the natives saw the resurrected Savior, not the dying Savior. So naturally they would honor him with symbols that would honor his resurrection. The native God Quetzalcoatl is depicted hundreds of times in mesoamerica. One correlating aspect of those statues and depictions is that they show a God with holes in his hands. Strange how the resurrected Jesus had holes in his hands when he visited the people in the Bible (not to mention the BoM). Kindly do some real research (and while you are at it, read the book itself) before you pretend to be some kind of expert on Native American Cultures (or the LDS Church in general).